I have another idie polish today. It's one I've been lemming and got the opportunity to try it out and review it. Thanks to Kimberly, owner of Once Upon A Polish for providing Day At The Fair. 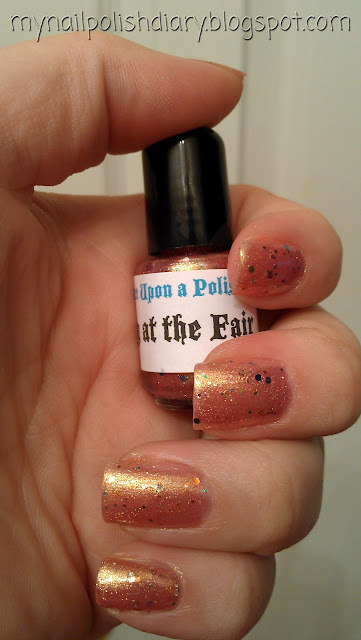 Once Upon A Polish Day At The Fair is so pretty! 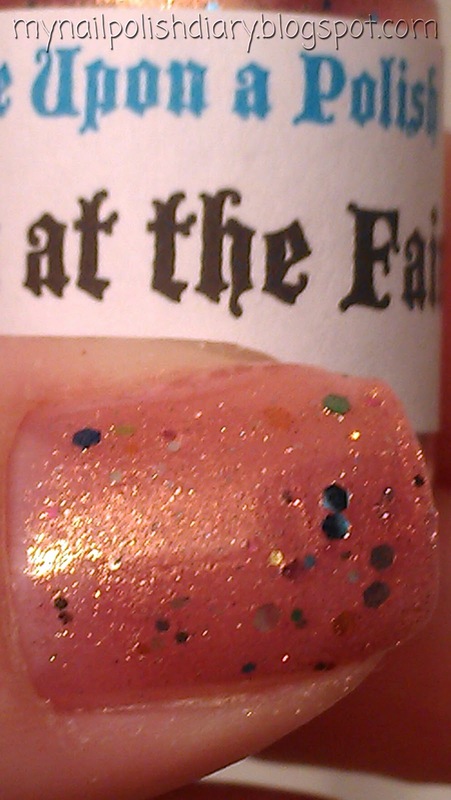 It's a coppery pink shimmer base with silver, green and I think orange hex glitter with multi colored micro glitter. There's just enough glitter to make this polish shine, but not so much it's over bearing. 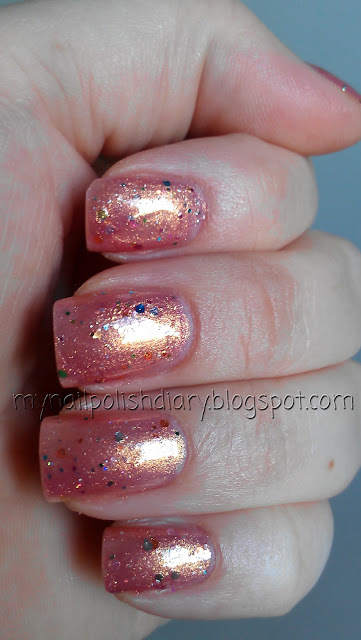 I often wear glitter as my accent nail because it's just too much for a full mani. I was completely comfortable with Day At The Fair as a full mani. My pictures do not do justice to this polish. It's so sparkly and shimmery! It was a joy to wear. I had several compliments and was so happy to explain to the cashier and lady at the drive through about Etsy polishes. They had no idea! It's my pleasure to share my joy of polish with Muggles, lol. I'm happy to report it was not difficult to remove in spite of the glitter. Yay! This is so pretty on you, Tami! It totally reminds me of cotton candy and carnivals.